Henry B. 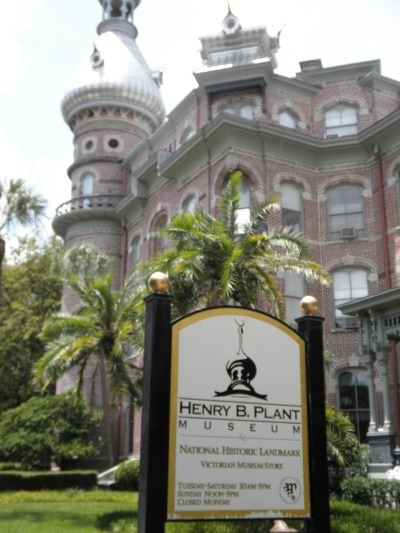 Plant Museum is located on the University of Tampa campus, the Museum is housed in the 1891 Tampa Bay Hotel, the Victorian styled railroad resort is now a National Historic Landmark. The museum contains the actual furnishings enjoyed by the first guests to visit the hotel. Visitors are encouraged to explore the nation’s only Victorian railroad resort hotel museum, enjoy live music on the veranda, and share a treat with friends at their tastings table. They will also have docent-led tours so you can learn more about this beautiful hotel turned into a museum. Fourth Friday of every month, come visit from 4 – 5pm for free admission and audio tours. Visit the museums Facebook page for updates on these events. Note: Event is subject to change without notice. Please call ahead before heading out.